Finding the right exercise for your unique needs is as important as exercising itself. In light of Exercise Right Week we have invited Stacey Harris, BSc (Nutr) Hons & Co-founder of The Chief Life to share with us how we can all incorporate more movement into our daily routines. “The Magic is in the Movement” – I have borrowed this beautiful caption from Greg Glassman, the founder and CEO of CrossFit, Inc. It is such a wonderful way to capture how important movement really is. The Chief Life’s Stacey & Matty doing dynamic stretches. When people think about movement, they normally think of some kind of “planned” or “organised” exercise session… But it doesn’t have to be that formal! We can move throughout the day in many different ways and there are a number of things to keep in mind when moving more to look after your body. It is very important to both warm up and cool down, before and after your “planned” exercise sessions and possibly even at various other times throughout the day. It helps to either bring up or back down the body’s core temperature so we don’t shock the body, as well as release synovial fluid from the joints (think of this like oil to help grease the joints so that they move well), as well as warming up or cooling back down the muscles, tendons and ligaments to keep the body happy. This can be as simple as a fast walk or slow jog, maybe a couple of minutes on a bike or rowing machine followed by some gentle dynamic stretches and maybe some faster dynamic stretches as you get warmer. Dynamic stretches can be extremely beneficial to keep you mobile and limber and can be carried out multiple times throughout the day no matter where you are. Things like gentle head and neck movements, arm and leg swings, and even wrist and ankle rotations can help your body to feel less stiff and more agile – especially if you sit at a desk or in a car for long periods throughout the day! Everyone is different – you are all unique snowflakes and so require different types of training depending on your goals, your body type and your personality. 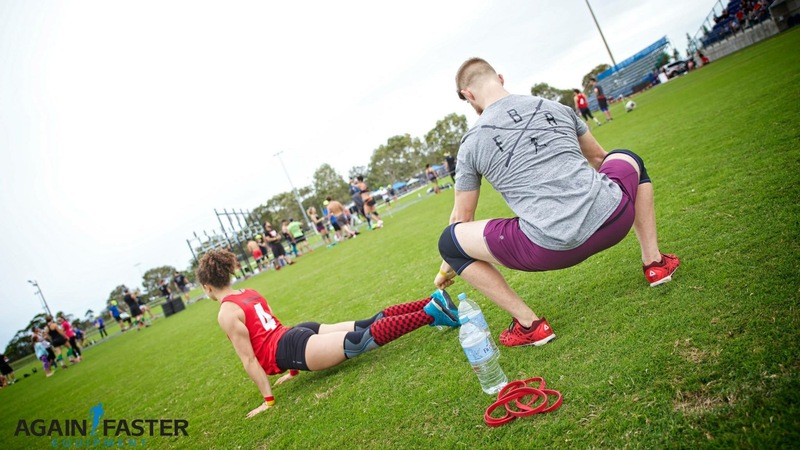 It is great to focus on finding movement that you ENJOY and this can be anything from training in a commercial or CrossFit gym to doing pilates or yoga, going for daily walks or runs, going to dance classes or heading to lawn bowls at the local club. Have a think about what you like to do and hunt around to find a trainer you click with or a group of people you like to hang out with whilst moving. Be sure you are searching out the best way to move for YOU and YOUR NEEDS – we are happy to work with you to figure out what this might be for you as an individual and create a personalised training program just for you! Head to The Chief Life to check out what we have on offer and maybe order yourself a program. And of course, it goes without saying that for long-term health and wellness, we must not only think about moving but also our food. Eating right is essential to get the most out of training. You cannot out train a poor diet, so what you put in your mouth will play a big part in your long term results and how your body will respond to the training or movement you choose. The problem is that these days we get so many mixed messages about “what”, “when” and “how much” we should be eating that it is quite difficult to know how to get the health outcomes you’re looking for… Don’t worry – we’ve got you covered! At The Chief Life we give you the “When, What and How Much” AND the “WHY” to help you achieve your “HOW”.